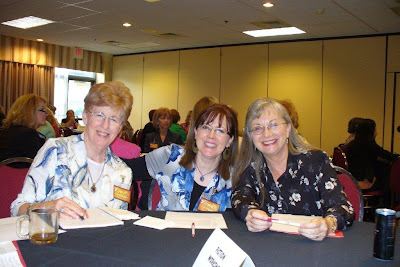 Here’s Rhonda Rhea, named AWSA Member of the Year 2010, sitting in between Charlotte Adelsperger and yours truly during the fiction round table discussion I was leading at the AWSA conference in St. Louis. This photo was taken just before the Golden Scrolls Award Banquet. 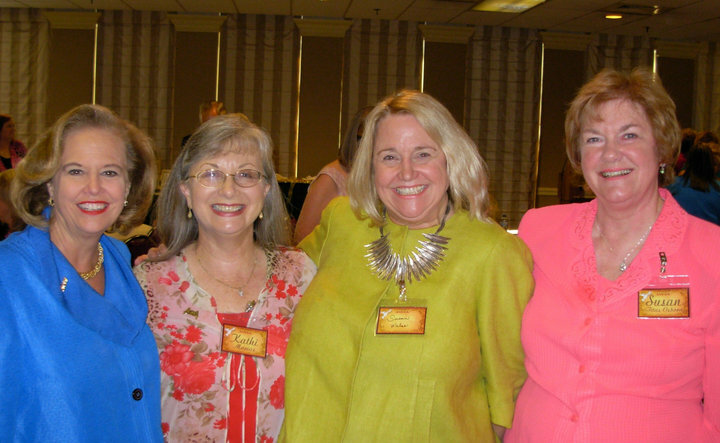 I’m standing with my dear friend and beloved “fearless flounder” of AWSA, Linda Evans Shepherd.